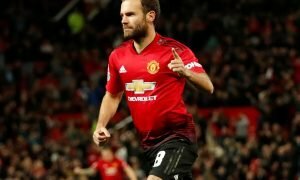 Manchester City reject £10m offer for midfielder from Juventus | The Transfer Tavern | Where football transfer rumours fly or die! 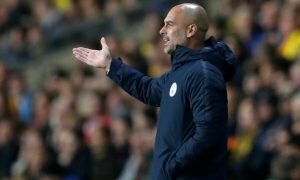 Manchester City fans in the Transfer Tavern are gearing themselves up for an exciting transfer window but they’re surprised that the first bit of big news has emerged concerning an outgoing deal. The Mirror state that Juventus lodged a £10m offer for City’s French international Samir Nasri but Manuel Pellegrini’s side are not interested in a sale, despite the vast competitiveness within their squad. The 28-year-old was one the fringes at the Etihad as the season begun but fought his was back into the first-team, featuring regularly before a hamstring injury occurred; a problem that sees Nasri remain on the sidelines. Nasty faces another battle to return to the first-team upon his return due to a wealth of competition in the forward areas, with Kevin De Bruyne, Raheem Sterling and Jesus Navas just three team-mates he will have to move ahead of in the pecking-order. 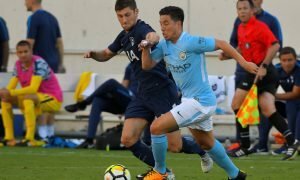 Although a potential exit from Nasri doesn’t seem like too big a loss, City are not interested in a sale as they chase down Premier League and European success. Our fans agree with the decision, stating their club needs all hands on deck to emerge victorious this campaign. Is Samir Nasri worth more than £10m? Should City sell him in January? Let us know in the comments below!